We're taking a look at the Golf & the Open is upon us & we'll get to see the world's greatest golfers on display in Lancashire, England as they tee up at Royal Lytham & St Annes - it's 11 years since the Open was last held here & saw David Duval win his only major. The course looks like it should be playing pretty tough with accurate driving absolutely essential as the wonderful English summer has meant the rough is thick & at times almost unplayable according to many of the players reporting in after practice rounds. We're taking a look at the contenders below & coming up with some picks that seem to offer value at the prices. It looks like BetVictor are the firm to punt with this week as they're offering some of the best odds on many players & are offering money back if any of Westwood, Garcia, Poulter or Donald win - they all have leading chances & it seems a generous offer. Lee Westwood has been a model of consistency in Majors over the past 3 years with 8 top 10 finishes in the last 12 tournaments & with driving accuracy at a premium here he has to have a real chance. Westwood seems to have had a lot of trouble converting placings into wins, especially in Majors & the US in general but some of that surely comes down to the greens tending to be that bit quicker than in Europe & that really puts his awful putting under more pressure. 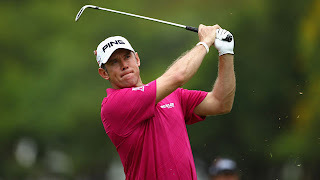 If the weather doesn't dry up dramatically then the greens should stay relatively slow & then Lee could really delight his army of fans especially if they get on at odds of 16/1, they seem short enough for us as he never seems to get over the line but odds of 6/4 for a top 10 finish are value & should be taken. It's easy to see why Tiger Woods is the favourite to pick up the Claret Jug as the top man has been resurgent in 2012 with 3 wins on the PGA Tour, including two in June, & generally looking like getting back close to the form he showed to pick up 14 Major victories between 1997 to 2008. Tiger's challenges in 2012's Majors hasn't been so impressive though with him really not troubling the leaderboard in the Masters & fading really badly at the weekend after holding the joint lead at the end of the 2nd round of the US Open. Tiger seems happy enough to stick to his woods off the tee in order to keep the ball on the fairway & with proper management of his play he does look to have the best chance of anyone & odds 10/1 seem fair. 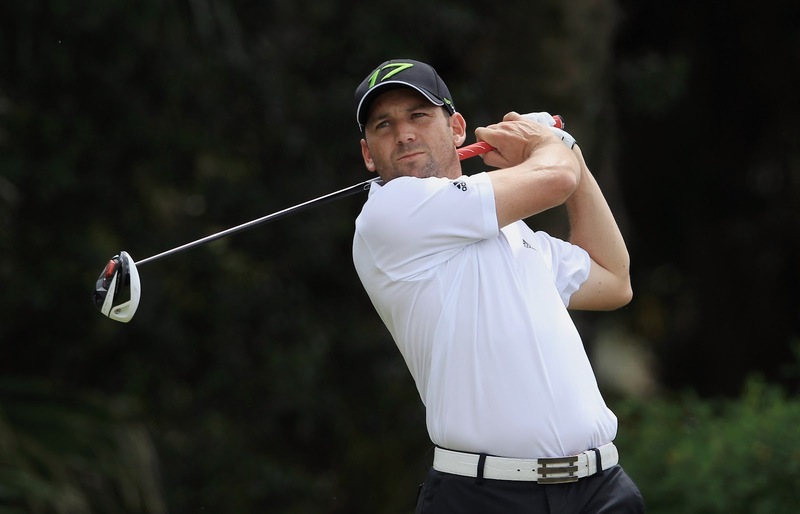 Another player who seems to struggle getting over the finish line is Sergio Garcia but at more than double the odds of Westwood we think he offers the best value in the tournament, especially with his excellent record in the Open. Sergio has had 7 top 10 finishes in the last 11 Opens & no one comes close to matching that, he's clearly an excellent links player & will almost certainly handle conditions whatever they are. After a dramatic loss of form through 2009 & most of 2010 Garcia has come back a lot stronger & won twice at the end of 2011 & he's had 3 top 5 finishes this year whilst playing sparingly & only having competed 12 times plus he came a very respectable 12th in the Masters. Some of Sergio's play & comments suggests that he has problems getting across the finish line & we couldn't be confident if there were a whole pack of players around him coming to the final stages but the nature of the Open does mean the players can be a little strung out & at odds of 40/1 with Ladbrokes he's a great each way bet. We don't feel that Justin Rose offers much value at 33/1 as his only top 10 finish in an Open was on debut as an amateur in 1998 although he did get 12th in 2007 & 13th in 2009. Luke Donald is World number one & deserves respect for winning 6 tournaments from the beginning of 2011, we worry that he might get caught out with some of his tee shots though & best odds of 20/1 are fair but don't really tempt us. Rory McIlroy has stated that he prefers the type of courses found in the States & his game just doesn't look so suited to links play & his odds are way too short. Padraig Harrington deserves maximum respect as a two time winner & he's shown a bit more form this season & at the end of 2011, unfortunately he's only had one win since 2008 & that was on the Asian Tour - that tempers enthusiasm for Padraig at somewhat shortish odds of 20/1. For sure they got lots of bet when their game began.